HHS feels strongly that our pet therapies provide healing in many ways. Our methods are non-traditional, yet we have experienced first-hand the improvement in the lives of people, both young and old, when introducing our therapy animals into specific interactions. We’d love for you to join us in our volunteer work! 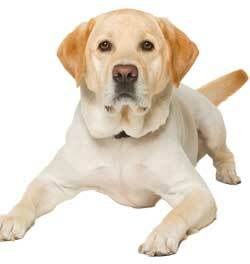 Have homeowner’s or related insurance to cover an unexpected incident with your pet. Able to walk calmly on a tight leash without jumping on people if a large pet, or be carried around calmly in a basket if a small pet. Contact Pet Therapy Coordinator at pet.therapy@hinsdalehumanesociety.org or call Deborah Kraus at 630-323-5630 x32 to review program details. Schedule an appointment at the shelter for a behavior evaluation for your pet. In this approximately 15 minute evaluation, an HHS staff member determines if your pet has the right temperament and personality for the program. At this time, you must also provide the staff member conducting the evaluation or the Pet Therapy Coordinator with proof from your vet that your pet is current on its rabies vaccine. Fill out the applications, waivers, and forms provided to you at this orientation session. Set up your first field visit with our volunteer PAP Scheduler. This visit is where you accompany a current volunteer/pet team on a PAP appointment. You do not bring your pet to this visit, only yourself. This gives you the chance to determine first hand if you enjoy the program. Provide feedback to the Scheduler and, assuming all parties agree, schedule the second field session where you and your pet make a visit accompanied by one of our experienced volunteers. This will be a training session where the experienced volunteer will train you and observe you and your pet for suggestions or any signs of stress. Receive confirmation from the Pet Therapy Coordinator that training is complete and arrange to pick up HHS Pet Therapy Volunteer Team shirt, nametag, and other related supplies for participation in the program. Download or order Read with Me™ Manual provided by Pet Partners and study materials prior to orientation. Complete Knowledge Assessment with Pet Partners and review with Pet Therapy Coordinator. Set up your first field visit with the Pet Therapy Coordinator. During this visit you will observe a veteran volunteer/pet team on a READ Session. You do not bring your pet to this session, only yourself. This gives you the chance to determine first hand if you enjoy the program. Provide feedback to the Pet Therapy Coordinator and, assuming all parties agree, schedule the second field visit where you and your pet participate in a READ session with children and you are observed by one of our experienced READ volunteers. The veteran volunteer will cover any questions, concerns, or suggestions for improvement. Schedule an orientation session with the Pet Therapy Coordinator. This approximately 1-hour meeting provides background information on being a Hinsdale Humane Society volunteer and specific information about volunteering as a Pet Therapy Team. Receive confidentiality documents and instructions on paperwork for a background check with Adventist Hinsdale Hospital. Receive confirmation of background authorization from Pet Therapy Coordinator. Schedule photo id session for you and your pet at Adventist Hinsdale Hospital. Await CARe request from therapist through Pet Therapy Coordinator for scheduling patient visits. Pick up HHS Pet Therapy Volunteer Team shirt, nametag, and other related supplies for participation in the program. Set up your first field visit with the Pet Therapy Coordinator. During this visit you will observe a veteran volunteer/pet team on a CARe inpatient visit. You do not bring your pet to this visit, only yourself. This gives you the chance to determine first hand if you enjoy the program. Provide feedback to the Pet Therapy Coordinator and, assuming all parties agree, schedule the second field visit where you and your pet make a visit to one of the designated units at the hospital and you are observed by one of our experienced CARe volunteers. The veteran volunteer will cover any questions, concerns, or suggestions for improvement. Receive confirmation from the Pet Therapy Coordinator that training is complete and pick up HHS Pet Therapy Volunteer Team shirt, nametag, and other related supplies for participation in the program. Additional training is required to work with hospice patients through AMITA's St. Thomas Hospice after first becoming a CARe volunteer.